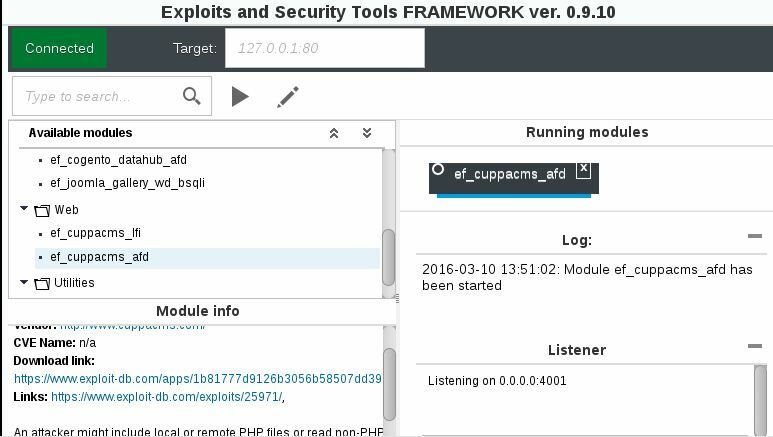 Browse: Home / EaST v0.9.13 – Exploits and Security Tools Framework. 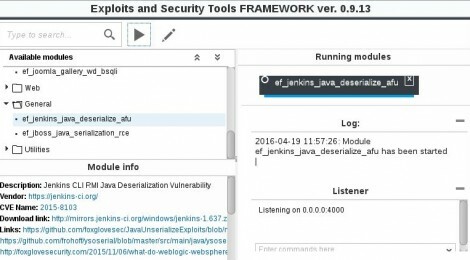 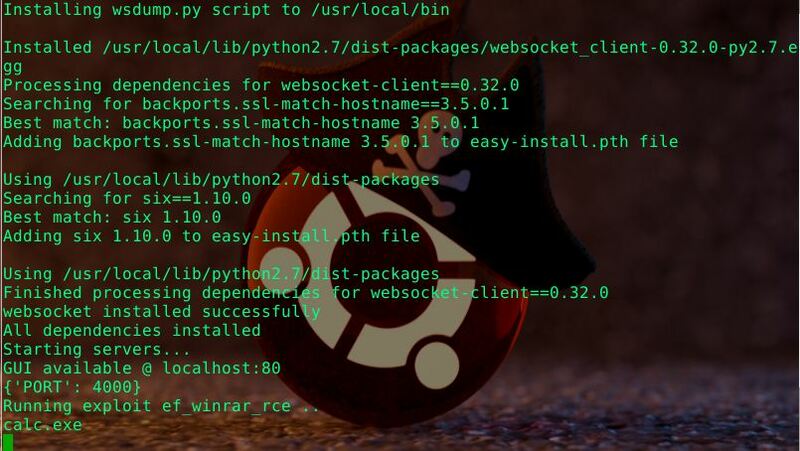 – 2 exploits: Jenkins Deserialize, Jboss Serialize (RCE-Remote Command Execution). 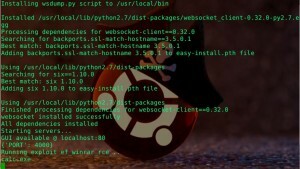 ← MAS – Modbus Attack Scripts.